What drew us to Nice was the crystal blue waters, pebbly beaches, and stunning views. We visited in mid May so it wasn't terribly hot yet, but it was still warm enough to wear a t-shirt and walk by the ocean. We ended up flying to the Nice Airport from Geneva because it was cheaper, faster, and more direct than any of the trains. 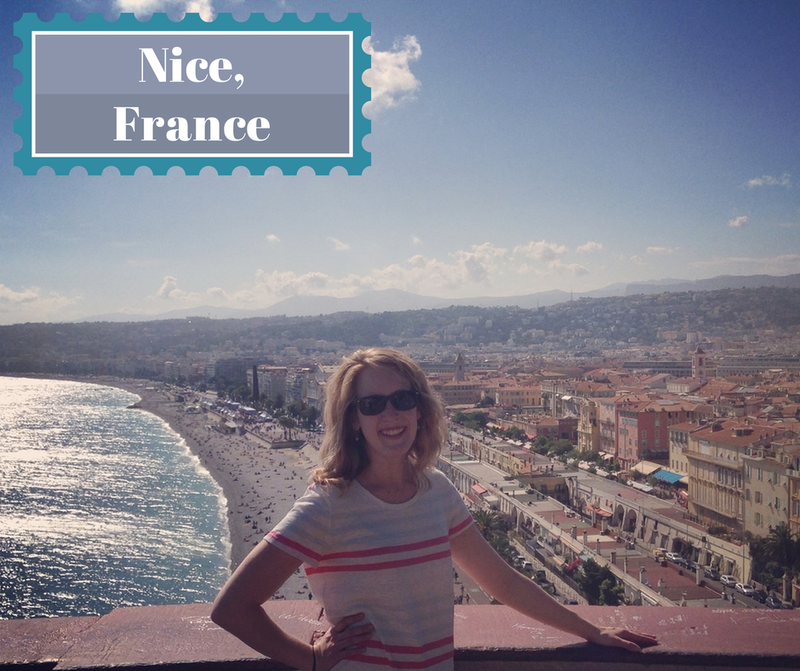 I think Nice was my favorite part of the trip. It was a fairly affordable city and small enough that we got our lay of the land in the few days we spent there. It had a very laid back atmosphere and felt invited by the locals (unlike other cities where as a tourist, I felt like I stuck out like a sore thumb). As I mentioned in my previous post, Matt and I wanted to find cheap and safe places to stay. This hostel had some of the highest reviews on HostelWorld.com that I've ever seen. There amenities are numerous including a small gym, breakfast included, and a fun bar. We ended up paying a few dollars extra to get our own room. This section was new for them and set next door to the hostel so it was very quiet and clean. The bathrooms were also huge. 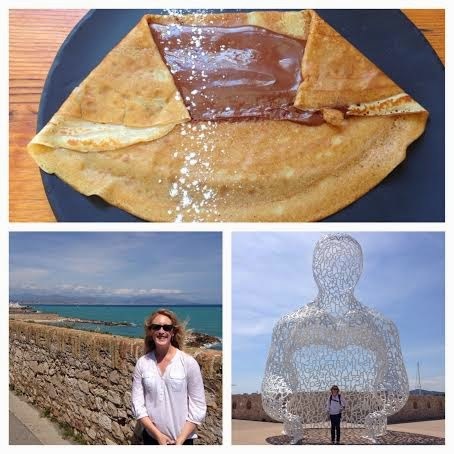 We also were within a block of Place Massena, and within five minutes to Old Town (where all the restaurants are) and also the beach. I couldn't recommend this place more. Grab breakfast at the Cours Saleya market, much cheaper than cafes! Nice has both French and Italian influences. We had some good Italian while we were there! We were there right before the Grand Prix so it was fun to see it all set up for the race! We were in Cannes during the Film Festival so we spent our time there walking around and seeing all the setup. It was incredible busy so I don't feel like I got to see much of it. They have great shopping and beautiful beaches though!